In February 2014 the draft for the revision of Annex 15 “Qualification and Validation” was published. 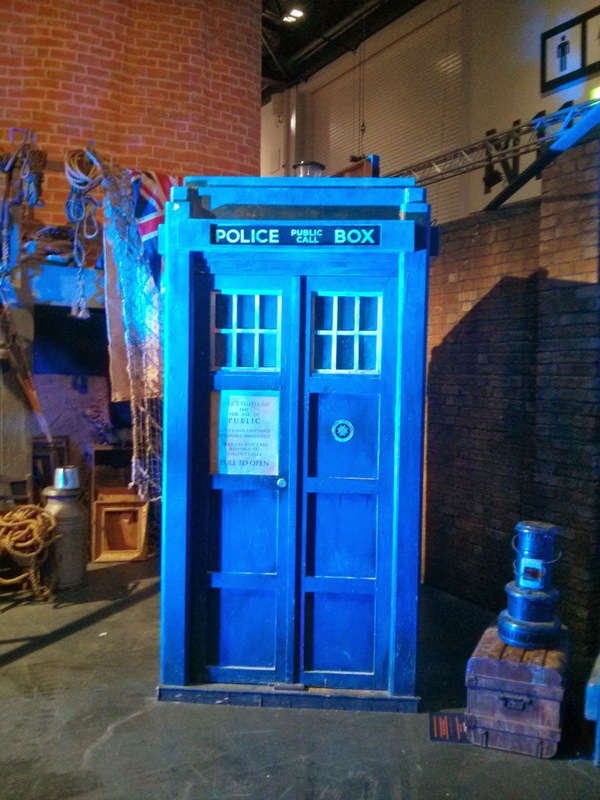 Now the draft has been published as final document and will be valid as of 1 October 2015. Pharmaceutical manufacturers of both sterile and non-sterile products, and medical devices, are required to demonstrate that manufacturing processes and procedures minimise any potential contamination to the product from the manufacturing environment. Contamination can arise from a number of sources: water, air, surfaces and personnel, each of which poses a potential risk to product. These risks of contamination are avoided by putting environmental controls in place (through correct grade of air-supply, satisfactory cleaning and disinfection practices and so on). Where controls cannot off-set every contamination risk, and also as a means to demonstrate the level of control, environmental monitoring programmes are devised and put into action. 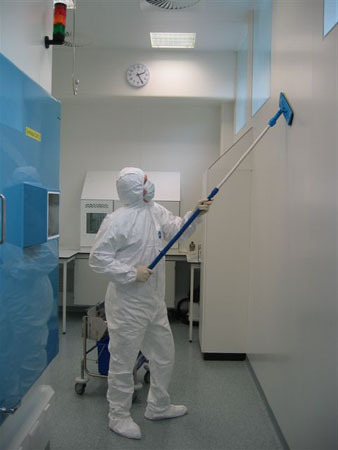 In addressing this, Tim Sandle surveys the latest innovations in cleanrooms and environmental monitoring for Express Pharma. US Compounding, Inc. is voluntarily recalling all lots of sterile products aseptically compounded and packaged by USC and that remain within expiry due to FDA concern over a lack of sterility assurance. The sterile products were distributed nationwide to patients, providers, hospitals, or clinics between March 14, 2015 and September 9, 2015. 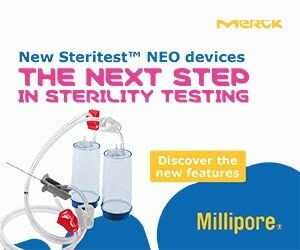 If the sterility of a compounded preparation intended to be sterile is compromised, patients may be at risk. USC is asking all patients and providers that received sterile compounded products from USC between March 14, 2015 and September 9, 2015, and that remain within expiry. Public Health England has issued a report on ethylene glycol (also known as 1,2-ethanediol, ethane-1,2-diol, or mono ethyl glycol) for use in responding to chemical incidents. Ethylene Glycol is clear, colourless liquid with a syrup-like consistency. Ethylene glycol can be made by reacting water with a chemical called ethylene oxide. Other names for ethylene glycol include mono ethyl glycol or MEG. Drinking ethylene glycol is dangerous and can cause damage to the kidneys which may lead to serious illness or death if large quantities are swallowed. Nick Gardner shatters some of the myths surrounding laboratory gloves - from Laboratory News. Virtually every task in the laboratory entails the use of gloves and it is fair to say that they are our constant companion for the most of the working day. Not surprisingly for something which shares such as an intimate relationship with our lives, gloves may be a frequent topic of discussion. With this in mind and taking into account the huge diversity of gloves used in the laboratory, is it any surprise that stories relating to gloves have reached mythical proportions. 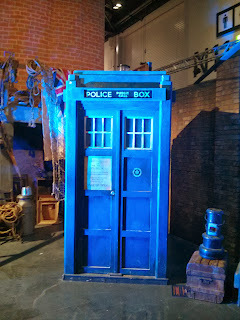 We will now consider some of the most commonly encountered myths and provide a reality check. Myth 1: Only natural latex gloves can give me an allergy. As we wear gloves more frequently and for longer periods, the issue of glove-associated allergy is becoming an increasing concern. Whilst natural latex gloves are often associated with some of the most serious symptoms (latter may be systemic and can even lead to anaphylaxis), all glove materials have the potential for causing allergies¹,². Chemical allergy is more commonly encountered than natural latex allergy, but is often confused with the latter. With natural latex and nitrile gloves, chemical allergy is frequently derived from the accelerators (e.g. thiazoles, dithiocarbamates, thiurams etc) that are used in the vulcanisation process. Plasticisers such as phthalates are often found in vinyl gloves and can also trigger a chemical allergy. Reality: all glove materials have the potential for causing an allergy. Myth 2: All nitrile gloves offer the same chemical resistance. With nitrile offering a broad range of chemical protection, this glove material is often selected where chemical exposure is a concern. In the face of increasing price pressure and perhaps also to give users latex-like comfort, manufacturers have been steadily reducing the thickness of their gloves. If we look at the palm thickness – the part of the glove that is most likely to be in contact with chemical exposure – then the thickness of nitrile gloves may vary from 0.07mm to 0.14mm. With such a wide variation in palm thickness, comes varying levels of chemical protection. Reality: not all nitrile gloves offer the same level of protection. Seek out data on palm thickness and even better ask a glove manufacturer to provide glove-specific chemical data. CASSS, the International Separation Science Society, in collaboration with BioProcess International, the industry’s leading biopharmaceutical publication, is proud to present The CMC Strategy Forums – Celebrating A Decade of Collaborative Technical and Regulatory Interaction. Divided into five chapters, and presented as Special Reports in 2015, each chapter is a compilation of peer-reviewed articles originally published in BioProcess International based upon the outcomes of CMC Forum meetings from 2003-2013. 'Antibody-making bacteria promise drug development' - Typically, monoclonal antibodies are manufactured in animal cell lines, such as Chinese hamster ovary (CHO) cells, with long development times that can drive up cost. According to Phys Org: A team of Cornell chemical engineers and New England Biolabs scientists have devised a shortcut. They've done it using an engineered E. coli bacterium that carries machinery for human antibody production and can churn out complex proteins, including many of today's blockbuster, life-saving antibody drugs, in as little as a week. A Nature Communications paper published Aug. 27 details the feat, led by co-senior author Matthew DeLisa, the William L. Lewis Professor of Engineering, and first author Michael-Paul Robinson, a graduate student in the field of chemical engineering. They worked with a team led by co-senior author Mehmet Berkmen, a staff scientist at New England Biolabs. There are currently 2 validly published species and 6 subspecies. 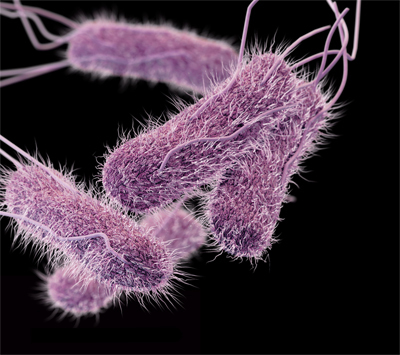 They are Salmonella bongori, Salmonella enterica and its subspecies - Salmonella enterica subspecies arizonae, Salmonella enterica subspecies diarizonae, Salmonella enterica subspecies enterica, Salmonella enterica subspecies houtenae, Salmonella enterica subspecies indica and Salmonella enterica subspecies salamae. Cells are rod-shaped, non-spore-forming, and predominantly motile by means of peritrichous flagella with diameters of around 0.7-1.5μm and lengths of 2-5μm with a few exceptions. On blood agar, colonies are 2-3mm in diameter. Colonies are generally lactose non-fermenters. They obtain their energy from oxidation and reduction reactions using organic sources, and are facultative anaerobes. They produce acid from glucose usually with the production of gas, and are oxidase negative. The document provides guidance about the identification of these organisms. To access the document, see Public Health England. Helicobacter species are helical, curved or straight Gram negative organisms, 0.5-1.0μm x 2.5-5.0μm long with rounded ends. In older cultures the organisms appear as coccoid bodies with an associated loss in culturability. Endospores are not formed. They have a rapid darting motility by means of multiple sheathed flagella that are unipolar or bipolar and lateral with terminal bulbs. There is considerable diversity among species in flagellum morphology. 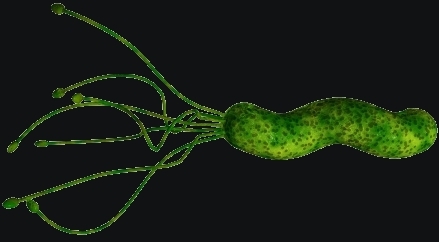 Flagella are typically sheathed; for example, H. pylori have multiple (four to eight per cell) mono-polar sheathed flagella with terminal knobs, whilst others have unsheathed flagella. The dust in our homes contains an average of 9,000 different species of microbes, a study suggests. The researchers found that the average household had more than 2,000 different types of fungi. These included well-known moulds such as Aspergillus, Penicillium, Alternaria and Fusarium. The researchers also discovered an average of 7,000 different types of bacteria per household. 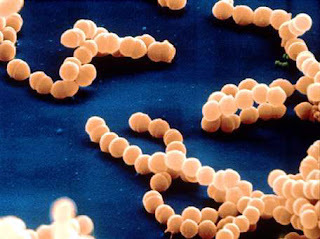 Some, such as Staphylococcus and Streptococcus, were commonly associated with human skin. Other findings were more unusual and were shaped by geographical region and whether the household owned any pets. Researchers from the University of Colorado at Boulder analysed the dust found in 1,200 households across the United States. The research paper is published in Proceedings of the Royal Society B, and it is headed "The ecology of microscopic life in household dust." "We spend the majority of our lives indoors; yet, we currently lack a comprehensive understanding of how the microbial communities found in homes vary across broad geographical regions and what factors are most important in shaping the types of microorganisms found inside homes. Here, we investigated the fungal and bacterial communities found in settled dust collected from inside and outside approximately 1200 homes located across the continental US, homes that represent a broad range of home designs and span many climatic zones. Indoor and outdoor dust samples harboured distinct microbial communities, but these differences were larger for bacteria than for fungi with most indoor fungi originating outside the home. Indoor fungal communities and the distribution of potential allergens varied predictably across climate and geographical regions; where you live determines what fungi live with you inside your home. By contrast, bacterial communities in indoor dust were more strongly influenced by the number and types of occupants living in the homes. In particular, the female : male ratio and whether a house had pets had a significant influence on the types of bacteria found inside our homes highlighting that who you live with determines what bacteria are found inside your home." There are some signals that alternative antimicrobial drugs could be emerging. This is a slow process requiring the testing of new molecules as potential antibiotics. ne main centre of analysis is the laboratory of Kenneth Keiler (from Penn State University, USA). The research team here has examined 663,000 different molecules against a strain of Escherichia coli bacteria. The researchers have monitored how the chemicals affect the growth and survival of the bacterium. From this, forty-six potential chemicals have been selected. Each of the selected molecules targets the protein synthesis in bacteria and disrupts the process. This results in the bacterium being unable to replicate. By halting bacterial growth, infection is unable to spread. Read about these and other innovations in a special editorial in SOJ Microbiology & Infectious Diseases here. President Barack Obama has nominated Robert Califf as the next commissioner of the U.S. Food and Drug Administration. Califf was a Duke University researcher who joined the agency earlier this year. Since January Califf has been deputy FDA commissioner for medical products and tobacco. Before that, he was founding director of Duke’s Clinical Research Institute. Califf’s nomination is subject to Senate confirmation. 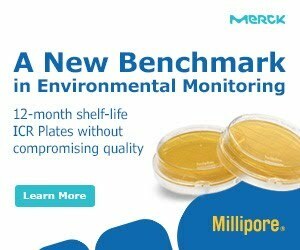 Do you see the value of automated, rapid technologies to your lab, but are struggling to find an option that will support your environmental monitoring, sterility and bioburden testing with a single method? 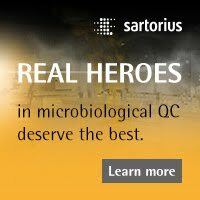 In our latest eBook, “An All-in-One Solution for Automated, Non-Destructive, Rapid Microbial Testing.,” we discuss how a single instrument can support the key microbial QC tests within a single instrument, creating efficiencies in the lab. 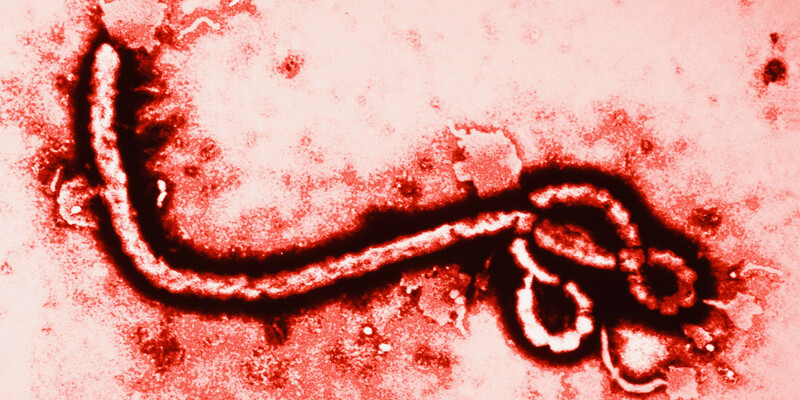 LeafBio, Inc. (LeafBio), the commercial arm of Mapp Biopharmaceutical, Inc. (Mapp), announced today that the U.S. Food and Drug Administration (FDA) has granted ZMappTM “Fast Track” designation for the treatment of Ebola virus disease. “Fast Track” designation is granted to drugs that the FDA determines, based on nonclinical or clinical data, have the potential to address an unmet medical need and that are intended to treat a serious condition. Fast Track designation allows for certain benefits, including opportunities for frequent interactions with the FDA, which may enable designated drugs to reach market sooner. Mapp Biopharmaceutical has been working to develop a therapy to treat Ebola virus for more than a decade. “We have been consulting frequently with the FDA during the development of ZMappTM and are grateful for their willingness to work with us to provide interactive review. The formalization of this through Fast Track designation is an important milestone,” said Dr. Larry Zeitlin, President of LeafBio and Mapp. Prior to this designation, the FDA had granted ZMappTM “orphan drug” designation, which provides financial and other regulatory incentives meant to encourage development of drugs and other products targeted at rare diseases. The goal of both of these designations is to encourage researchers and scientists to research and develop treatments for diseases that may otherwise be overlooked. Fast Track designation may shorten the path toward filing and obtaining approval of a Biologics License Application, the marketing application that must be filed with and approved by the FDA before ZMappTM may be marketed in the United States. The designation does not affect the ongoing clinical trial of ZMappTM currently taking place in West Africa. Public Health England has issued a set of slides that provide detailed training for health professionals on the new meningococcal B and meningococcal ACWY immunisation programmes. The MenACWY vaccine is being introduced in response to an increase in cases of invasive meningococcal disease capsular group W (MenW) disease. This vaccine will provide direct protection to the vaccinated cohort and, by reducing carriage of MenW, will also provide indirect protection to unvaccinated children and adults. 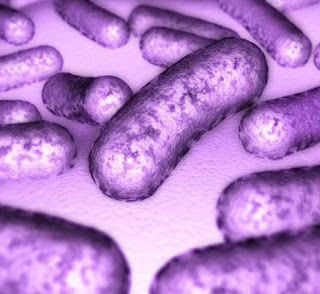 A research consortium have stated that they have fashioned bacteria to produce X-rays. 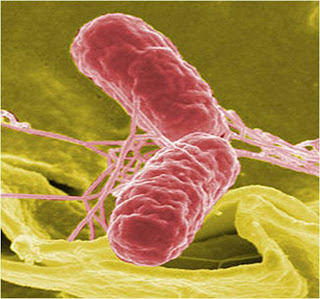 This was through a study whereby a femtosecond, infrared, high intensity laser irradiating a glass slide coated with Escherichia coli was conducted. The effect of the laser was to turn the cell material into a hot, dense plasma. The research group discovered that natural micro and nanostructures in the bacteria can be used for such intensity enhancement leading to hotter, brighter plasma. They showed that the bacterial cells increased the X-ray flux by a factor of 100 in the 50 -- 300 keV x-ray region. After this they grew the bacterial cells in a silver chloride solution whereby the silver atoms aggregated as nanoparticles inside the cell. This allowed the bacteria spiked with nanoparticles to be used to boost the emission a further 100 times, leading to an overall enhancement of 10,000 times from the flux emitted by plain glass slides without the bacterial coating. The finding could potentially lead to biological led plasma physics and high energy density science for creating novel particle sources. This has been adapted from a research note issued by the Tata Institute of Fundamental Research. FDA has issued draft guidance on Botanical Drug Products, with a proposal to update the 2004 guideline. “This guidance describes the Center for Drug Evaluation and Research’s (CDER’s) current thinking on appropriate development plans for botanical drugs to be submitted in new drug applications (NDAs) and specific recommendations on submitting investigational new drug applications (INDs) in support of future NDA submissions for botanical drugs. In addition, this guidance provides general information on the over-the-counter (OTC) drug monograph system for botanical drugs. Although this guidance does not intend to provide recommendations specific to botanical drugs to be marketed under biologics license applications (BLAs), many scientific principles described in this guidance may also apply to these products. According to ICH, the Q7 Questions & Answers on Good Manufacturing Practice Guide for Active Pharmaceutical Ingredients reached Step 4 of the ICH Process in June 2015 and now enters the implementation period (Step 5). Experience gained with the implementation of the ICH Q7 Guideline since its finalisation in 2000 shows that uncertainties related to the interpretation of some sections exist. Technical issues with regard to GMP of APIs – also in context with new ICH Guidelines - are addressed in this Question and Answer document in order to harmonise expectations during inspections, to remove ambiguities and uncertainties and also to harmonise the inspections of both small molecules and biotech APIs. The collected of data from the Human Microbiome Project has enabled microbiologists to develop an ecological map of the human body, both inside and outside. Many of the findings have extended, or even turned upside down, what was previously known about the relationship between humans and microorganisms. 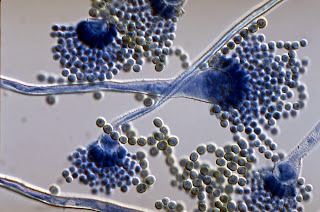 One of the most interesting areas related to fungi, especially in advancing our understanding about fungal types, locations and numbers and how this affects health and disease. With this fungal and bacteria diversity do not correlate; some parts of the body have a greater prevalence of bacteria (such as the arms) whereas fungi are found in closer association with feet. To review some of the more recent literature on fungi associated with human skin, Tim Sandle has written a short review paper for EC Microbiology. RTS has won approval in Europe as the world's first malaria vaccine. 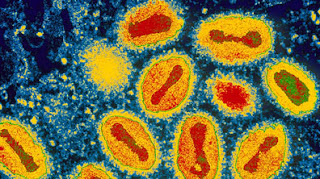 This is a major step towards prevention of a disease that kills more than half a million people worldwide every year. This week, the EMA concluded that the vaccine should be used for immunization of children in Africa of age 6 weeks to 17 months along with other protective measures against malaria such as insecticides and bed nets. Later this year, the WHO is going to review evidence for the vaccine and decide whether to recommend its use. The deadliest of the malarial parasite is the Plasmodium falciparum which is what the RTS,S vaccine targets. It works by inducing an immune response in the body. However, one point to be noted is that in clinical trials, the vaccine has not proved effective enough to be used alone. The U.S. FDA has approved the Bio-Rad BioPlex 2200 HIV Ag-Ab assay that could differentiate between HIV-1 antibodies, HIV-2 antibodies, and HIV-1 p24 antigen in human serum or plasma specimens. The assay may be used in adults or children above the age of two years as well as in pregnant women; and may also be used to screen organ donors for HIV-1/2 when the blood specimen is collected while the donor's heart is still beating. 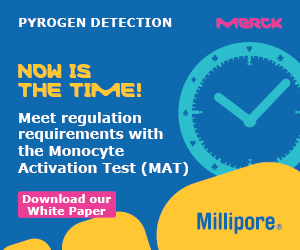 However, the agency has not approved the assay for use in screening blood or plasma donors, except in urgent situations where traditional licensed blood donor screening tests are unavailable or their use is impractical. The EU Commission has published a new public consultation on an Implementing Act on GMP principles and guidelines for medicinal products for human use. 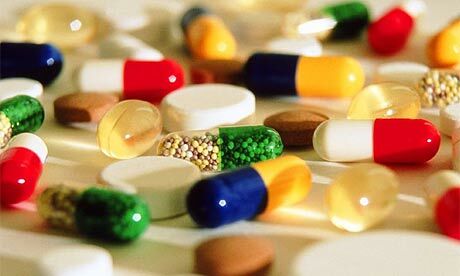 "Directive 2001/83/EC of the European Parliament and of the Council of 6 November 2 2001 on the Community code relating to medicinal products for human use provides in 1st paragraph of Article 47 an obligation for the Commission to adopt principles and guidelines of good manufacturing practice for medicinal products for human use in the form of a Directive. This delegation is the legal basis for Commission Directive 2003/94/EC of 8 October 2003 laying down the principles and guidelines of good manufacturing practice in respect of medicinal products for human use and investigational medicinal products for human use. However, Regulation (EU) No 536/2014 of the European Parliament and of the Council on clinical trials on medicinal products for human use, and repealing Directive 2001/20/EC3 requires that the Commission adopt delegated acts to specify the principles and guidelines of good manufacturing practice and the detailed arrangements for inspection for ensuring the quality of investigational medicinal products. It is therefore necessary that Directive 2003/94/EC is repealed and replaced by a Delegated Act on principles and guidelines of good manufacturing practice for investigational medicinal products with its legal basis as Article 63(1) of Regulation (EU) No 536/2014 and a new Implementing Directive on principles and guidelines of good manufacturing practice for medicinal products for human use with 1st paragraph of Article 47 of Directive 2001/83/EC as its legal basis. With this public consultation, the Directorate-General for Health and Food Safety seeks the view of stakeholders regarding the content of a new Implementing Directive on principles and guidelines of good manufacturing practice for medicinal products for human use." The U.S. FDA has announced a two-day public workshop entitled “New Methods to Predict the Immunogenicity of Therapeutic Coagulation Proteins,” scheduled to be held on September 17 and 18 in Bethesda, Maryland. The purpose of the workshop is to discuss recent scientific progress in identifying the genetic determinants for an unwanted (immunogenic) immune response to therapeutic coagulation proteins, and to identify and discuss potential new methods to predict such immunogenicity. The workshop has been planned in partnership with the National Heart, Lung and Blood Institute, National Institutes of Health (NIH), the NATIONAL HEMOPHILIA FOUNDATION, and the PLASMA PROTEIN THERAPEUTICS ASSOCIATION (PPTA). Two important sets of documents, both of which shape the way control and monitoring of contamination is handled within cleanrooms, are under review. These are Annex 1 to EU GMP, which relates to the manufacture of sterile medicinal products, and ISO 14698, which is a two-part standard serving as a multi-industry biocontamination control guide. A total of 28,109 clinically compatible cases of Ebola virus disease (EVD) (15,226 confirmed) including 11,305 deaths, have been reported associated with the West African outbreak. In some areas the number of cases have been underestimated. During August 2015, a total of six cases have been reported, five in Guinea and one in Sierra Leone. The Guinean cases have been reported in two prefectures, Conakry the capital (four cases) and Dubréka (one case), with ongoing occurrence of cases emerging from unknown sources. The single case in Sierra Leone was detected following a community death in the district of Kambia, an area which last reported a case in early July. Investigations into the source of infection for this case continue. Vaccination is currently being undertaken in Guinea and Sierra Leone of all adult contacts of confirmed cases. Following 42 days since the second negative test on the last case, Liberia was declared EVD transmission free on 3 September and now enters a 90 day period of heightened vigilance.